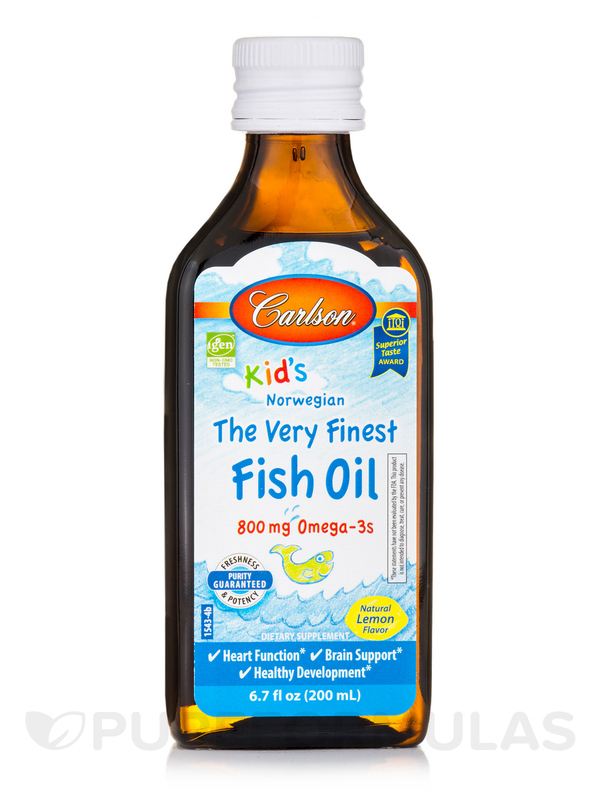 My 5 year old son loves Carlson for Kids Fish Oil by Carlson Labs! He takes it with ease and the quality is great. Long lasting for a reasonable cost. Kid's Norwegian The Very Finest Fish Oil™ in lemon flavor has received numerous awards for its taste and quality. To ensure maximum freshness‚ Kid's The Very Finest Fish Oil™ is closely managed from sea to store. 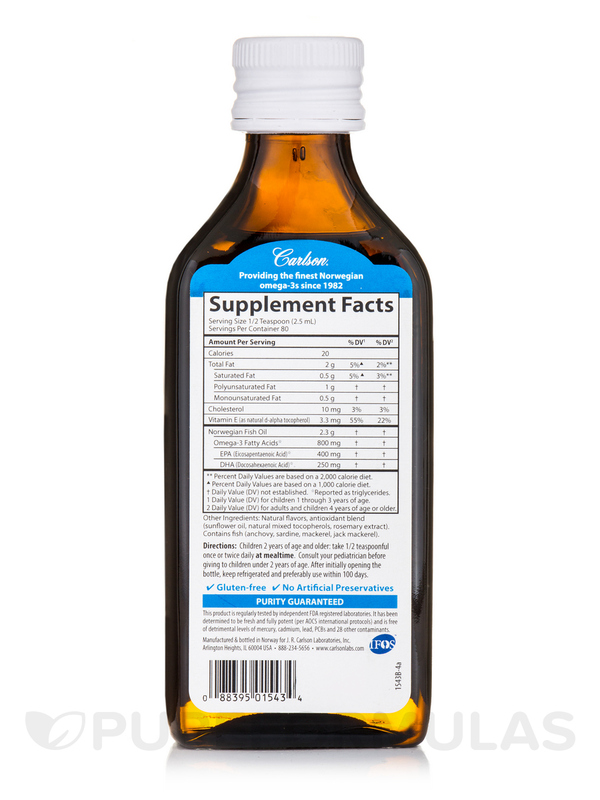 Carlson Labs source the highest quality‚ deep‚ cold-water fish using traditional‚ sustainable methods. Kid's The Very Finest Fish Oil™ is then bottled with a touch of vitamin E and is given a nitrogen flush to remove oxygen and help prevent oxidation. 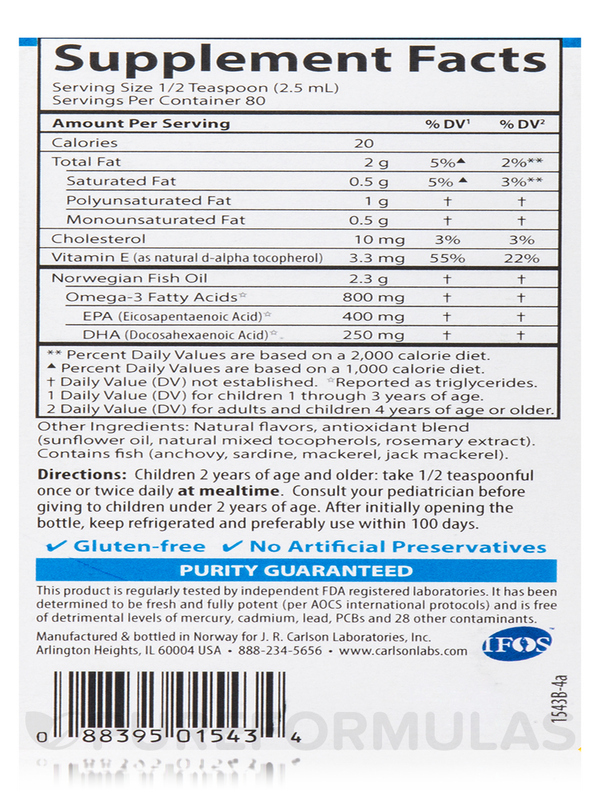 Each teaspoon of Kid's The Very Finest Fish Oil™ provides 800 mg of omega-3s‚ including EPA and DHA‚ which support heart‚ brain‚ vision‚ and joint health. Like all Carlson omega-3s freshness‚ potency‚ and purity are guaranteed. (^)Percent Daily Values are based on a 1‚000 calorie diet.